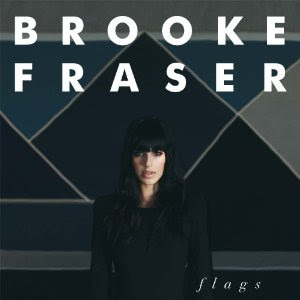 The tile of Brooke Fraser's newest album, Flags, was inspired by her writing trips into the more remote parts of the US. I couldn't wait to post this video for Music Monday! I'm loving the quirky paper animation (is that what it is?) and vintage props. You might also check out the song "Betty" which she co-wrote with Jon Foreman and another of my favorites "Sailboats". "Sailboats" is an acoustic waltz she wrote to her husband. The love song's simple, upbeat and would be lovely at a wedding! Thank you so much for pointing this out! It's a beautiful song!